Comedian's new book explores the pleasures and perils of our new romantic world. Let's face it: courting, communicating and finding love seems a lot more complicated than it used to be. Technology was supposed to make everything a little easier on all of us, but why does it seem like everybody is just more frustrated? We get some answers from an unlikely modern thinker: Aziz Ansari. 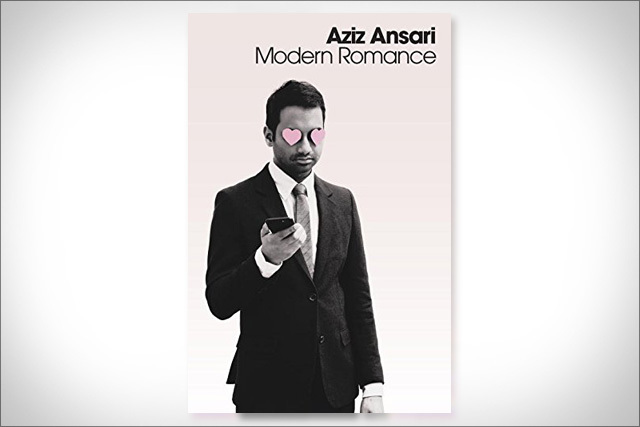 Ansari, standup comedian and star of Parks and Recreation, is your guide to love in the digital age in his new book Modern Romance, on shelves this week. For years, Ansari has been aiming his comic insight at modern romance, but for this book he takes things to another level, teaming up with NYU sociologist Eric Klinenberg to combine his irreverent humor with cutting-edge social science to give us a tour of our new romantic world. Modern Romance is now available everywhere, including Amazon. Aziz will also be embarking on a nationwide book tour in support of Modern Romance this summer. (Each ticket comes with a free copy of the book.) For further information, visit his website.